NEW YORK, Feb. 9, 2018 /PRNewswire/KOREA IT TIMES-- LIKE APP, the leading video application with the most advanced technology in the category, launches its game-changing 4D Magic editing feature with the help of young Hollywood. From Stranger Things' Noah Schnapp , Midnight Sun's Bella Thorne to many famous KOLs, LIKE APP is taking over social media platforms and briefly ranked number one on the iTunes charts. LIKE APP's 4D Magic allows users to create multidimensional videos at a level never before incorporated into a commercial application. In addition to providing unparalleled video editing technology at the touch of a button, LIKE APP users can compete in various challenges on the platform and win prizes ranging from followers to cash. 4D Magic features independently developed intelligent human segmentation technology that is paired with image synthesis, image editing and special effects processing. The groundbreaking technology, developed by LIKE APP, realizes the real-time background and space switching of users and seamlessly allows anyone to create blockbuster-style content anywhere, in just minutes. 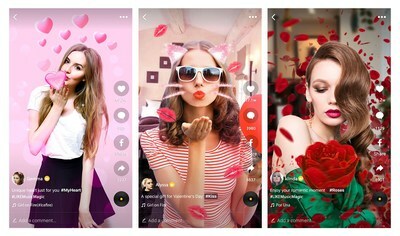 To provide more options for the young lovers to display their romance in a perfect social video on Valentine's Day, LIKE has launched a library of romantic V Day themed stickers, filters, together with its unique music magic effects, the young couple can easily DIY a romantic and magic video, which definitely will make you a spot light in your social media. "We are thrilled to bring this advanced technological innovation to the 27 million LIKE App users worldwide," said Aaron Wei, LIKE APP Executive. "While applications like Instagram and Snapchat are still trying to catch up to LIKE App's current offerings, we are once again leading this dynamic industry and bringing consumers the cutting edge technology they crave." 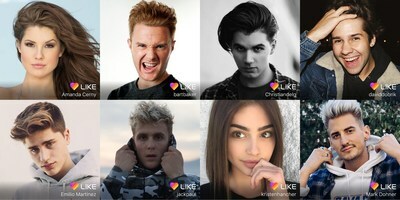 Compared with other short video apps, the features of LIKE APP are unparalleled in the industry and offer users a perfect solution to easily develop and style music videos in just minutes. With 27 million users across more than 200 countries, teens and adults are singing and dancing their way into creative scenes they never thought possible. For more information or to download the application, please visit www.like.video. For more information please visit: https://www.like.video/.